Exotic Cats Online Slot: Welcome to the Jungle Where Wild Felines Turn into Wild Reels! Exotic Cats takes players to a jungle setting in which animations of popular wildcat species, lurk behind reels to spring a win-boosting surprise. Lion, Tiger, Panther, Leopard and Cougar icons land on reels as high paying symbols, awarding payouts on as few as two (2) alike images. Yet if emerging as animations, any wildcat in view slashes a column to reveal a full Wild Reel. Furnished by Microgaming via the Quickfire gaming platform, this online slot contains 243 ways by which identical symbols complete winning arrangements. Once in awhile, the Exotic Cats Logo emerges to help complete a combo by way of Wild substitution/s. Instances of Logo Wilds occurring simultaneously with wildcat-driven Wild Reels may be rare. Yet if such an event transpired, they work together in completing multiple winning ways. This may even happen during a Free- Spins Bonus Round. Lion, Tiger, Panther, Leopard and Cougar images award uniform pays when occurring as one-of-a-kind groupings. 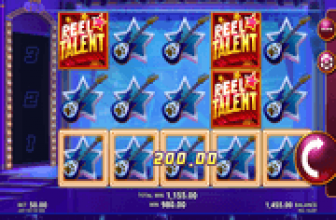 A pair of alike wildcat icons, landing on the first and second reels, instantly brings a cash prize equal to 5x the Coin Bet. If the pair expands into a grouping of 3, 4 or 5 matched wildcats, a reward equal to 15x, 25x or 150x the Coin Bet will be awarded. Remember though, only the longest combo on every win-way, garners a corresponding pay. The Exotic Cats Logo may emerge in any reel, and render substitution actions if doing so will complete a paying combo. Payouts of Wild-completed arrangements are based on the Paytable values of the non-Wild winning element. One-of-a-kind images of an exotic cat, combining with a Logo Wild, earn payouts that correspond to the winning Cat Symbol. The rewards are different if purely 2, 3, 4 or 5 Logo Wilds comprise a winning combination. Wild groupings are actually,the most rewarding. 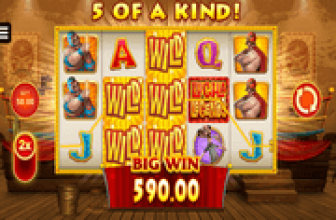 A corresponding Wild combo draws out a cash reward equal to 6x, 20x, 120x or 220x the Coin Bet. Again, only the longest set of Logo Wilds completing a win-way, garners a reward. A wildcat lurks behind each reel. On random occasions, it clambers out, but not to prey. An exotic cat coming out of its hiding place, turns the spot into a full-reel Wild. Labels atop each reel indicate the wildcat that will bring on the Wild Reel Surprise. A Lion, Tiger, Panther, Leopard or Cougar animation, in that particular order, transforms Reel 1, 2, 3, 4 or 5 into a Wild Reel. If luck is on a player’s side, more than one wildcat may emerge via a single spin; subsequently producing 2 or more Wild Reels. A minimum of 3 Golden Free-Spins Tokens activates 10 free games. Yet landing 4 or 5 is more rewarding, since a Scatter Pay equal to 1x or 2x the Total Bet will also be awarded. If during the round a bonus spin produces another set of 3 or more Golden Tokens, five (5) additional free games will extend the bonus bout. Free-spins roll the same set of reels, allowing the five (5) Exotic Cats to carry on with their random Wild Reel surprises. Exotic Cats online slot surprises players with Wild Reel embellishments, randomly brought on by any of 5 featured wildcats. Behind each reel, a specific Cat animation randomly clambers out to turn its hiding spot into a Wild Reel. This Wild Reel feature transpires in both base and bonus bouts.